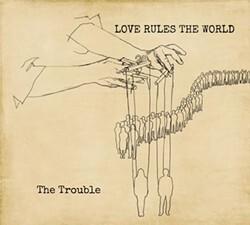 The Trouble releases its debut album at the Arcata Playhouse on Saturday, Oct. 10. If you want to be convinced that it's worthwhile to spend a lot of time lovingly working on your band's album, artwork, liner notes and everything else that goes into creating a work of art for the world, there's not a lot of reassurance out there. Revenue from streaming music has overtaken the sale of CDs and records in the first half of 2015. Streaming is expected to even overtake digital downloads next year, firmly putting CD sales in a distant third. In spite of this, there are still bands putting in the Sisyphus-like effort to put out physical albums. Although perhaps slower than in the recent past, local bands still devote countless months and years to crafting albums for us. One such band is The Trouble. 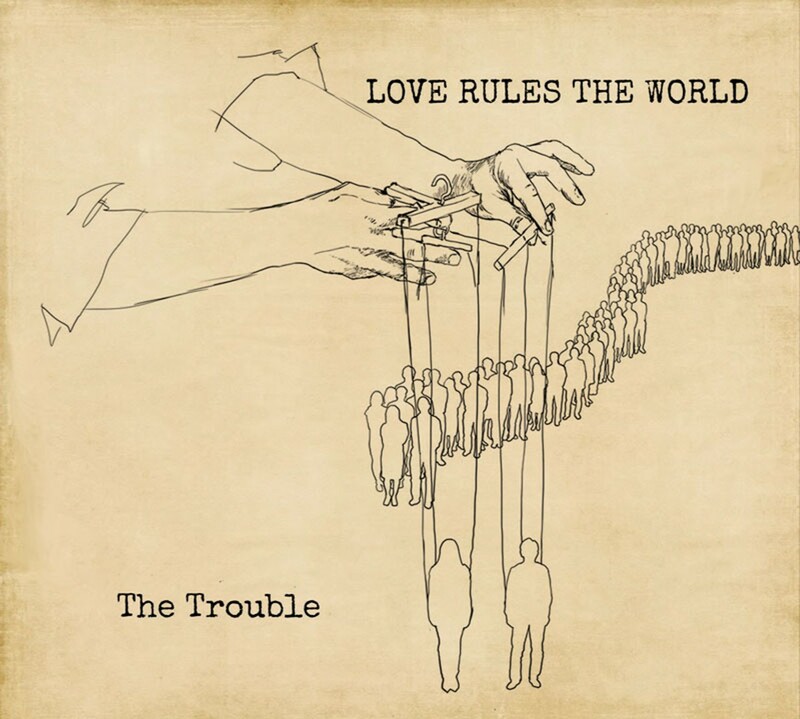 This local band has been playing in old barrooms for years now and has just now put out its debut album, Love Rules the World. For those of us that have been waiting for a recorded statement from this band, it is now clear that the wait has been well worth it. Marc Jeffares, Sam Kaplan-Good, Jeff Krider, Chris Parreira and Issa Stemler have carefully crafted this album which runs touches on barroom rock, alt-country and 1970s rock among others, and all without rushing. Think something that Bob Dylan and The Band wouldn't mind covering. They bring upbeat rockers that many of us have spilled our beer to in the past, but the band really shines when it stretches out on songs like "Gravity" and "Pharaoh's Eyes" in which you almost feel haunted by the sound of the late Ray Manzarek. The band is smart to use talented guest musicians giving songs like "Time's the Rearranger" a Van Morrison-horn-section-like sound, but fortunately the strength of this band lies in its self-confidence and maturity in songwriting. Well-written lyrics paired with interesting changes make these songs you'll want to listen to over and over (for me it's "Papermoon"). With Jeffares' willingness to serve the lyrics even when his voice cracks, and the band's skill in creating a soundscape with authenticity at center stage, The Trouble impresses with a strong debut. Read on for details about the album release show. Speaking of bands who have been around the block, The Delta Nationals celebrate their sweet 16th tonight at the Mad River Brewery. Like most birthday parties, this one's free. They start at 6 p.m. For you "bootgazers" check out Fruitbats at Humboldt Brews. $15 for this SubPop Seattle band at 9:30 p.m.
For an early show, The LaPatinas will be playing at the Fieldbrook Market. I'm not sure on the time, but let's just guess that it's around 6 p.m. and free. A bit further South, Doug Fir & the 2x4s will be playing for free at the Bear River Casino at 9 p.m.
As mentioned above, The Trouble is releasing its debut album at the Arcata Playhouse at 8 p.m. Belles of the Levee open up the show and for $20 not only do you get to see both bands, but you get a copy of Love Rules the World to boot. The Logger Bar in Blue Lake has some "honky tonk punk 'n' roll" from Bremerton (not in Nevada) by Nevada Backwards (not in Bremerton). It's 9:30 p.m. and free for this one. For my money, the closest thing you'll get to seeing Pink Floyd live in these parts will be at the Blue Lake Casino. House of Floyd returns to Humboldt doing not only the music justice, but the light/laser show as well. Only $15 and a 7:30 p.m. start time. I can't pretend to be familiar with Lyrics Born myself (to my street cred's embarrassment), but I know many in Humboldt are. Catch him at Humboldt Brews at 9:30 p.m. Bring $20. The Little Red Lion in Eureka has The Independents at 9 p.m. for free. These fellas from South Carolina have been hitting the punk/ska circuit for two decades now and have shared the road with The Ramones and The Misfits among others. I can't imagine you'll be disappointed at this show. The Redwood Jazz Alliance is opening up its 10th season tonight at the Morris Graves Museum of Art with a piece inspired by Uruguayan author Eduardo Galeano (beats me). 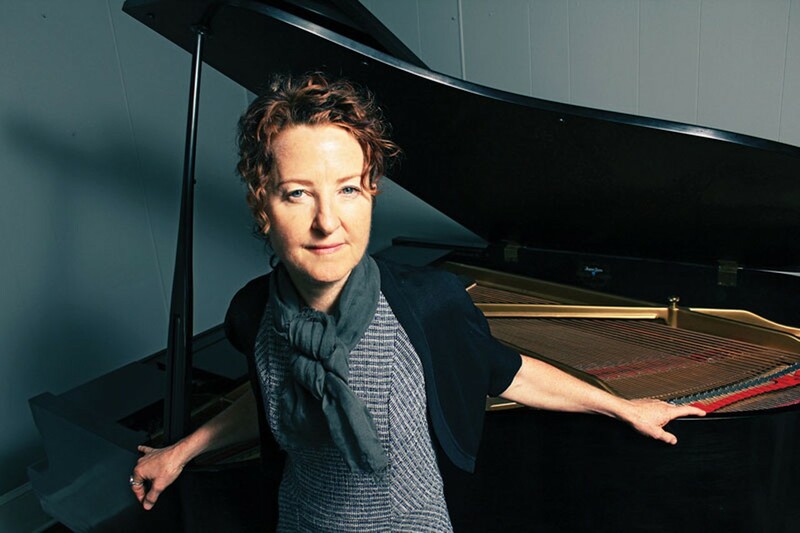 Pianist, composer, and UC Berkeley professor Myra Melford performs her work "Snowy Egret" at 8 p.m. $15 or $10 for students and seniors. The Sanctuary in Arcata (13th & J) hosts The Fretless on their first trip to Arcata. These Canadians playing Celtic music have twice been named ensemble of the year by the Canadian Folk Music Academy, so that's something. An 8 p.m. showtime and I believe the usual $5-$20 sliding scale for this show. Andy Powell is a congenital music lover and hosts The Night Show on KWPT 100.3 FM weeknights at 6 p.m.